My name is Katsuko Balfour and I'm a bespoke designer who specialises in made to measure silk and lace wedding dresses. Some brides have asked me how to make a wedding veil by themselves, so I'd like to tell you how to make your own wedding veil on this website. Making the wedding veil is not so difficult, but also it can be really fun to do. Maybe your friends or your mother can help you. Please choose from the category the side bar. If you would like to buy some tools and materials, please visit the shopping page. Also I can make a wedding veil, if you don't have time to make. Special thanks to Rina Machida for her beautiful illustrations. If you have any questions, could you contact info@makeaveil.co.uk or call 020-8446-5169. If you would like to buy the tools and materials for making your veil, please visit http://makeaveil.co.uk. 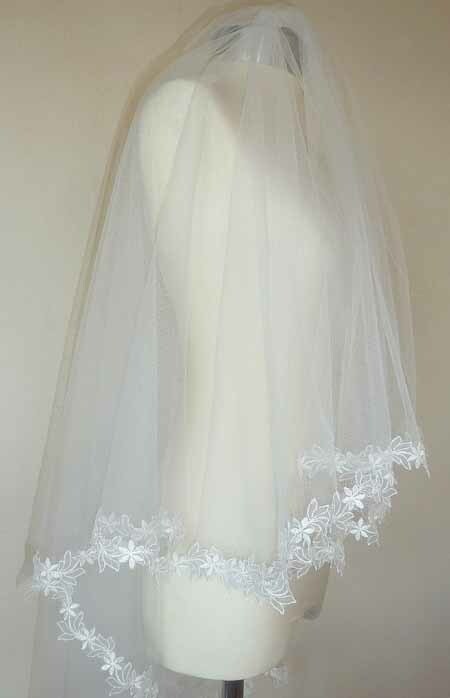 Also you can order your wedding veil on the shopping site. Also, if you are interested in having a bespoke wedding dress, please visit "http://katsuko.net".